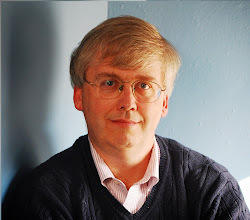 China’s New Economic Frontier: Overcoming Obstacles to Continued Growth, published by the Peterson Institute for International Economics (PIEE Briefing 16-5, September 2016, edited by Sean Miner). As a starting point, compare countries by per capita GDP and what share of the adult population has at least an upper secondary education. 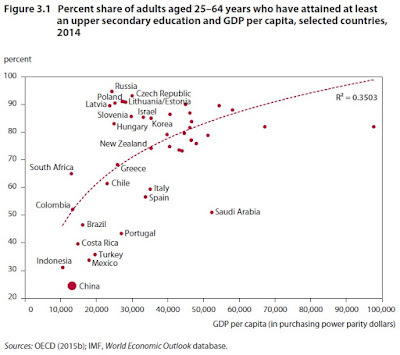 As shown in the figure, the education level of China's adult population ranks well below other countries with a roughly similar level of per capita GDP. China has made dramatic gains in its education level in the last few decades. One standard measure of gains over time is to compare the education level of a younger age group to an older age group, like the average education level of adults age 25-34 with adults age 55-64. 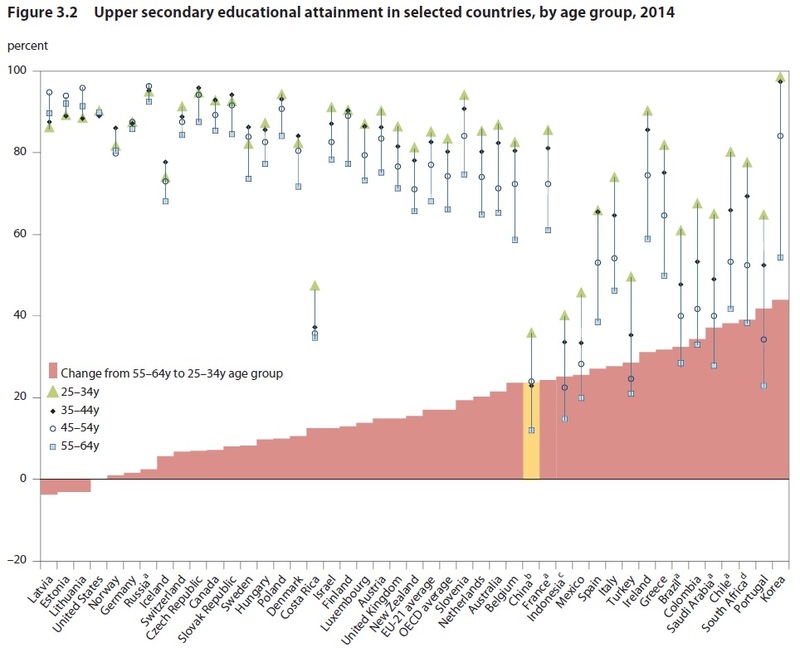 The red bars--with China shown in yellow--shows how much the education level of the younger group exceeds that of the older age group. Clearly, China has made substantial gains. 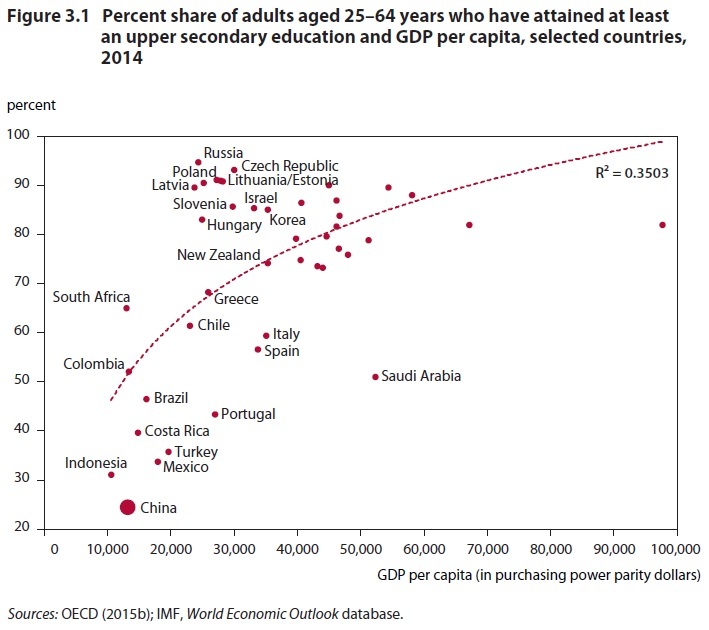 But just as clearly, the gains in China's education attainment are below those for France, Spain, Brazil, Korea, and others. 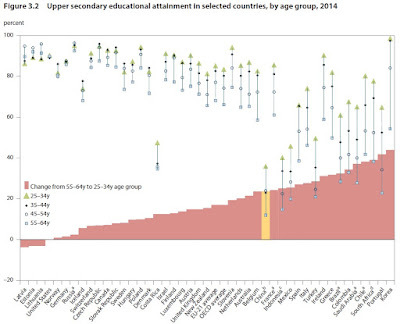 Moreover, China was starting at a much lower level of educational attainment (the hollow box showing educational attainment for the 55-64 age group is lower for China than for the comparison countries shown here) and so middling gains for China in educational attainment aren't helping it to catch up. to undo. People’s “lower than otherwise would have been the case” skill levels cannot easily be restructured. Skill shortages at the upper secondary level will make it harder for China to move into the production of higher value added goods and services, lead to increased income inequality and geographic wealth diversity, and complicate the transition to a widespread consumption-based economy."